In an age of soda streams and electric waffle machines, it can be hard to remember that humans have only been cooking with electricity for around a century. Cooking with gas? For less than two. But open fire cooking—the world’s oldest cooking method of grilling over a wood fire—has fed man for millions of years. And while it may have fallen out of fashion in favor of modern technology, the wood-fire cooking trend is making a comeback. Open fire cooking differs slightly from the tradition of American barbecue. Barbecue uses radiant heat and smoke to cook food. Wood fire cooking involves grilling food on grates or spits, with active flames fed by open air. Depending on the size of the flame or how long the fire has been burning, chefs can induce a slow cook or a quick char. This often brings out and caramelizes the natural sugars in food, making grilled vegetables and fruit taste even sweeter, and coaxing flavors from steak that taste out of this world. What’s the difference between open fire cooking and a basic backyard cookout? First, wood. The wood used in wood fire cooking is as natural as can be—unlike chemically treated, compressed grilling charcoal. Chefs are often particular about the kind of wood they cook with, since the flavor goes into the food. Another difference is that open fire cooking doesn’t involving using a lid to control temperature—like the one on your Big Green Egg or favorite Weber. Instead, the flame is out in open-air, controlled by how it’s moved and fed. Human beings are the only species to cook their food. But we didn’t always. Scientists predict that a Homo erectus first threw a piece of meat into the fire around 1.8 million years ago. Unlike apes who only ate raw foods, these primates benefited from easier digestion and surplus energy. Over the next 600,000 or so years, their brains doubled in size. But open fire cooking did more for humans than just evolve our species—it centralized the act of eating. “Fire helped establish societal roles, customs and cultural practices unique to the people of different places—fire, ingredients, and cooking being the common ground,” Lennox Hastie reports in Food Republic. With open fire cooking, the hearth became home. In the United States, cooking in a fireplace or on a cast-iron stove was the norm until the early 1900s, when gas lines and stoves became commercially widespread. Electric stoves followed a little later. With these, wood fire cooking moved from indoors to out—we grilled on grates set over campfires. Then came the 1950s, when a man named George Stephen got fed up with the messy getup, sliced a steel buoy in half, poked some holes in the bottom, and changed history with his invention of the iconic Weber grill. Wood fired cooking stayed outside, but we stayed interested. 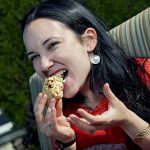 Modern conveniences like the microwave, frozen dinners, snack packs, and take-out food made at home and in-office eating require even less effort from humans. And throughout all of this, fanciful restaurant cuisine was prepared largely out of the diner’s sight. Eating was communal. Cooking, solitary. That is, until now. Because we’ve found our way back around the hearth once again. But a trend it is. And one that can credit its popularity to three components. Chefs today prize natural ingredients and age-old techniques more than ever. No technique is older than open fire cooking, and no ingredient more of the earth than wood. But chefs can’t just head down to any old store—wood produced for building homes and burning campfires is often more chemically treated than charcoal. So, where do they source wood? More “wood guys” are now showing up on the food scene, just like farmers who directly supply farm-to-table restaurants. They properly grow, cut, and dry oak, ash, cherry, hickory, and pecan wood so that fires burn thoroughly and consistently. Because of this, chefs can better trust their dishes will grill and taste the same, time and time again. 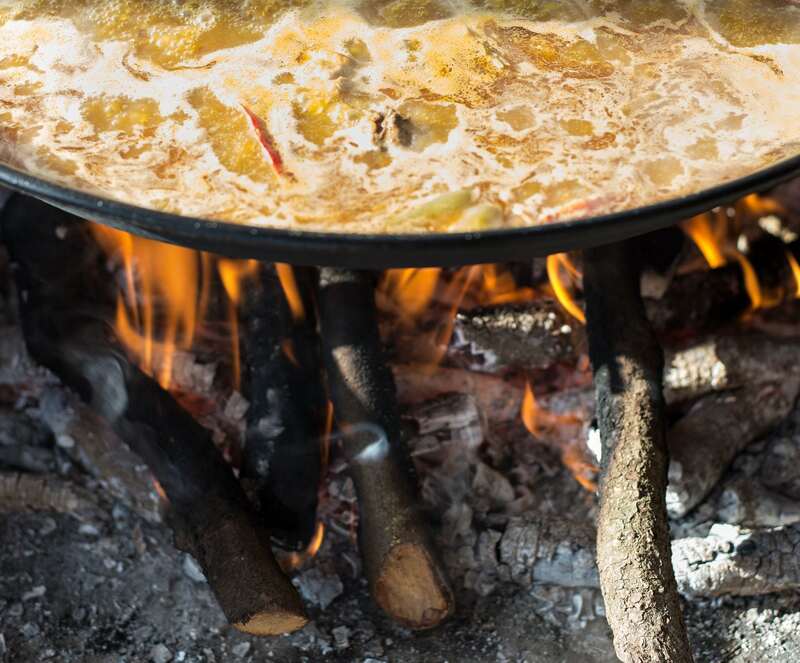 International cuisines built around open fire cooking have risen in popularity stateside. Those with particular gaucho (cowboy) histories like Argentina, Peru, Brazil, and Mexico bring asado-style cooking to the forefront. Then, Spanish and Indian cuisines offer grilled foods traditional and innovative alike. 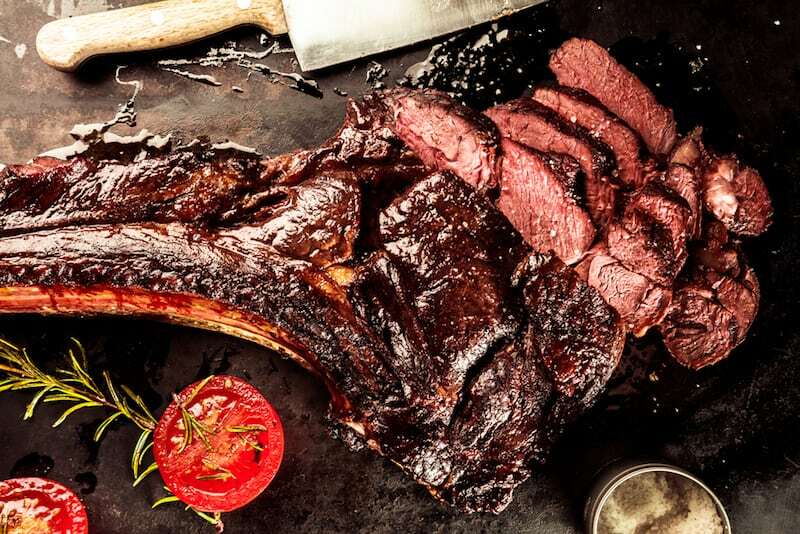 American chefs return to their cowboy days, too, bringing the best of fresh and local together with open fire cooking’s simple combination of heat, meat, and eat. It’s a return to simplicity, no matter the origin story. Chefs need tools that can take abuse and impart finesse into food. Until now, even the best commercial grills required constant, costly upkeep, and were largely just tougher versions of what we could have at home. Enter custom grill makers like Ben Eisendrath. Dubbed the “gold standard of wood-burning grills” by the New York Times, Eisendrath’s Grillworks designs grills for chefs’ needs and specifications. Their angled grates, rotisseries, mesh surfaces, and planchas run juices into basting trays, instead of onto coals. Crank wheels and fire cages allow chefs to better control flames. They’re virtually indestructible and visually stunning—most chefs place their grills in open kitchens so that their diners can partake in the festivity. Hundreds of restaurants rely on live wood fire cooking to bring flavor into American and international cuisines alike. Which means more open-fire cooking for us to try, nationwide. With so much love going into local, fresh ingredients and that beautiful natural wood, open fire cooking only improves most dishes. At King + Duke, Atlanta restaurateur Ford Fry says his 24-foot open hearth “is the restaurant’s centerpiece,” allowing him to make dishes that “harken back to the way food used to be prepared: cooking over fire is a primitive technique that lets the ingredients speak for themselves.” Detroit’s Prime + Proper lets only the most impeccable cuts of meat touch their grill. And in Boston, the award-winning Skewer’s Wood Grill catering uses an open wood grill to quickly pull intense flavor from charred chicken, salmon, beef, or pork grilled with onions, peppers, and tomatoes. When it comes to international eats, award-winning Portland chefs Greg Denton and Gabrielle Quiñónez-Denton use open fire cooking to bring Argentinian flavors alive at Ox. Sean Brock teases Mexican flavors from grilled cauliflower with salsa macha at Atlanta’s Minero. And hungry Charlestonites can stay fueled up at work with the fire-fueled Mexican of Sol Southwest Kitchen. Italian cuisine loves wood fire cooking, no pizza oven required. Red Ash Italia in Austin, Marta in Manhattan, and Lilia in Brooklyn make the best of the plancha’s flat, heated surface to quickly sear shellfish, char vegetables, and finish slow-stewed dishes to fuse smoke and depth into all ingredients. Still, perhaps nothing is more comforting than a combo of American barbecue and open fire cooking. Fletcher’s Brooklyn Barbecue brings the best of global barbecue dishes together, with sweet-and-sticky Chinese char sui pork and melting racks of ribs in one smoky package. Parkstone Wood Kitchen delivers a classic wood-grilled, meat-and-side combo to desks and conference rooms in Oregon and Utah. And Baltimore’s Carnivore BBQbelieves so highly in “Old Smoky—our trusty wood smoker hand-built by a disabled Vietnam veteran,” that they drive their ‘cue all around the D.C. area peddling it. With open fire cooking, the adage “where there’s smoke, there’s fire” doesn’t necessarily hold true—barbecue might still be considered the greater wood fire cooking trend on the dining scene today. Challenges keep some chefs from acting on the primal desire to fire. Some restaurant spaces aren’t equipped to handle live heat. Some cities strictly limit storing wood—an intentionally flammable product. And commercial grills are often extremely expensive—a risky investment in an industry where most businesses don’t see a five-year mark. The rarity of restaurants cooking with an open flame means eaters should put in an order whenever their noses detect a delicious live fire. Because food only gets tastier when touched by the flame. It’s a conclusion even the most barbaric of us humans can agree upon. Want to learn more about global cuisines?